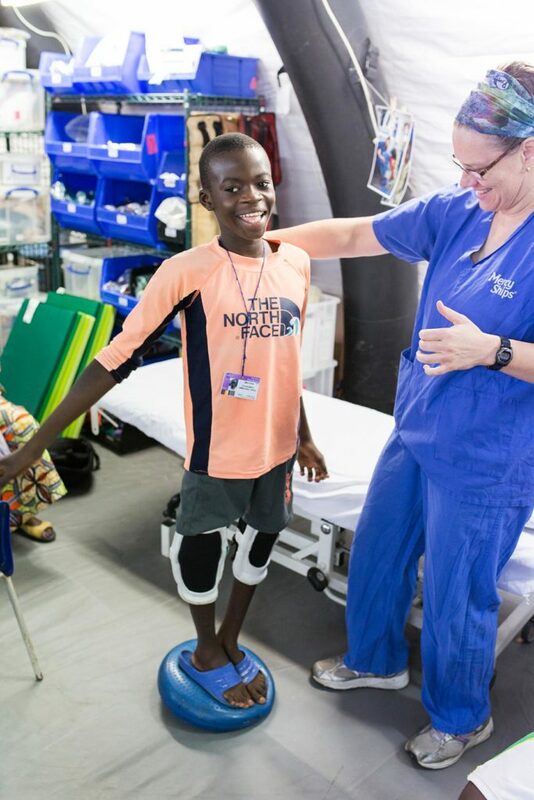 Every patient who comes onboard the Africa Mercy has a unique story, but even experienced Mercy Ships nurses had never seen a case quite like Ulrich’s. 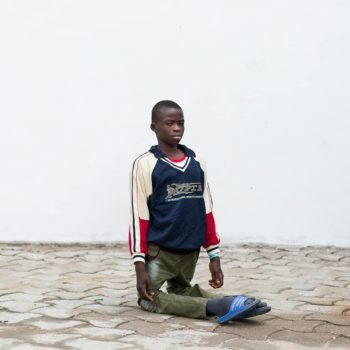 Ulrich was born with dislocated knees and a condition known as quadriceps contracture. 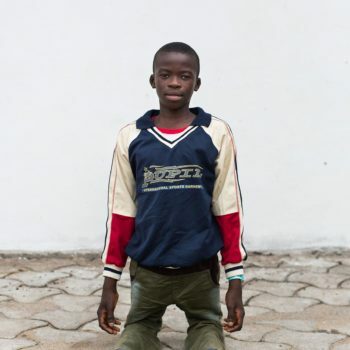 His muscles do not develop at the same rate as his bones, causing his legs to bend drastically backward. 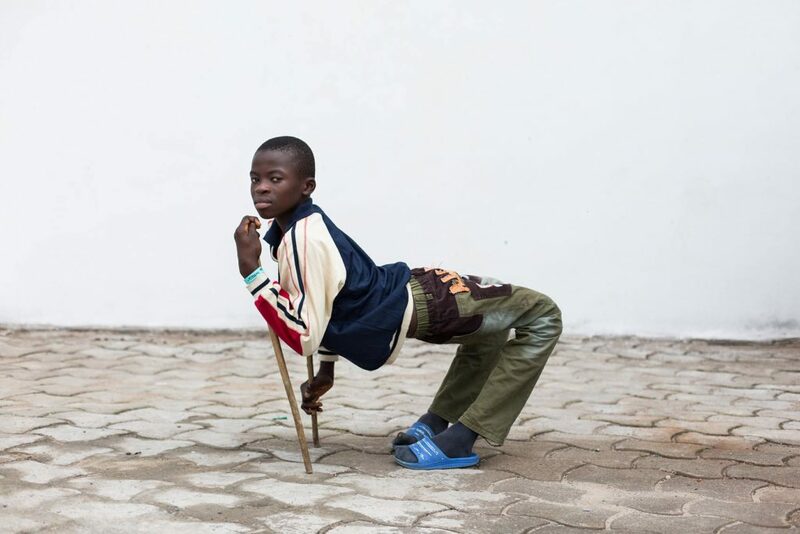 Despite the constant stares and ridicule Ulrich faced because of his condition, he found a way to adapt. 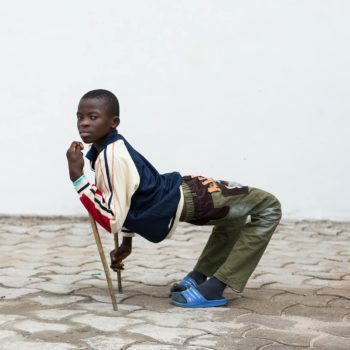 He learned to walk with sticks made from sturdy branches. But his determination to be like other boys took its toll. He developed pain in his hands and joints from supporting his body weight. “I was worried that if I was feeling such pain now, it was only going to get worse as I got older,” he said. 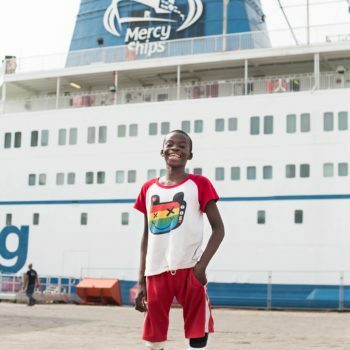 But thanks to Mercy Ships donors and volunteers, Ulrich doesn’t have to live in fear anymore. 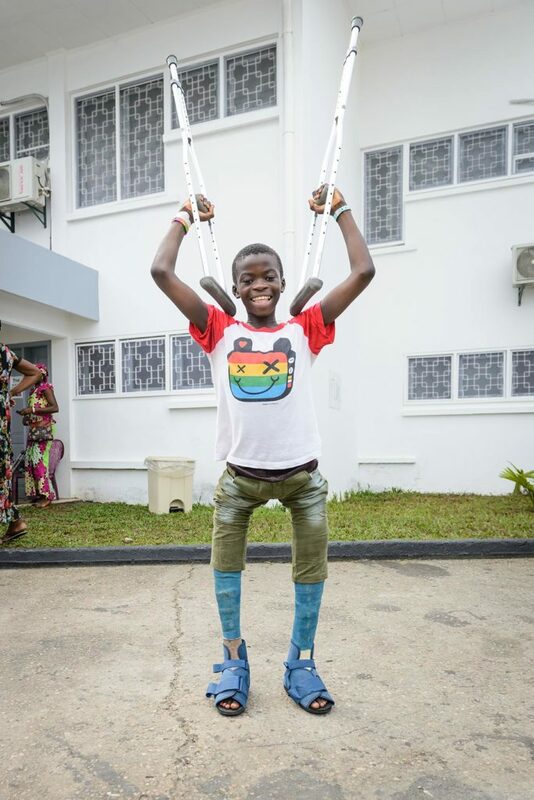 Ulrich’s life was transformed when he received free surgery onboard the Africa Mercy. 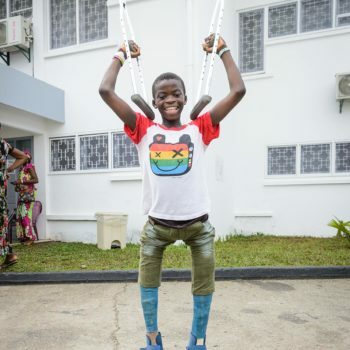 The severity of his condition required several complicated operations, but finally Ulrich woke up with two straight legs in casts. He couldn’t believe they were actually his legs. When he stood, he reached up to see if he could touch the ceiling. 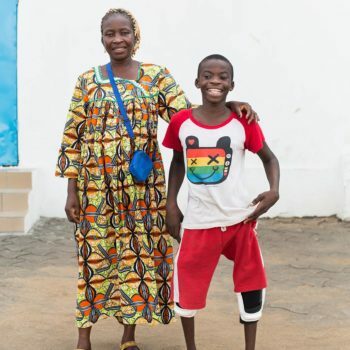 And when he finally walked again, the first thing he did was hug his mum. 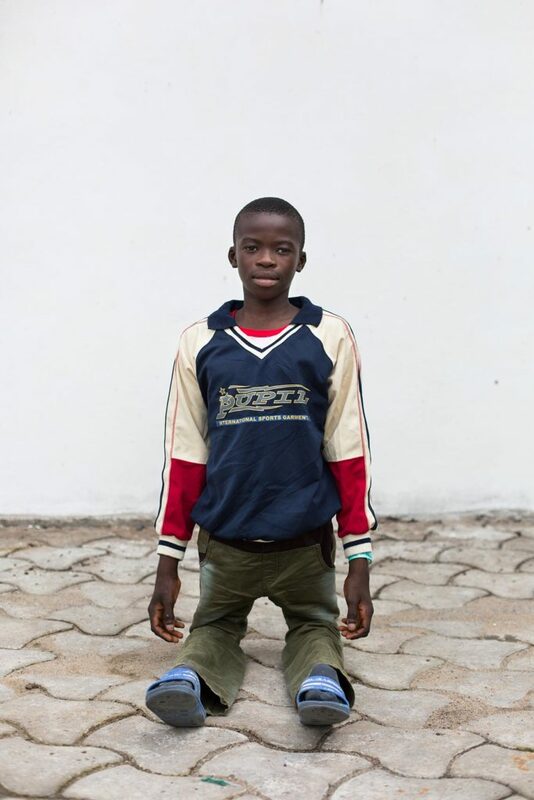 Now Ulrich is walking straight and tall, and he can fulfil his dream of getting a proper education. “Before, when I would walk in the street, people would stare at me. They thought I was just a handicapped person, and they treated me differently. Now they will look again,” Ulrich says with a smile. 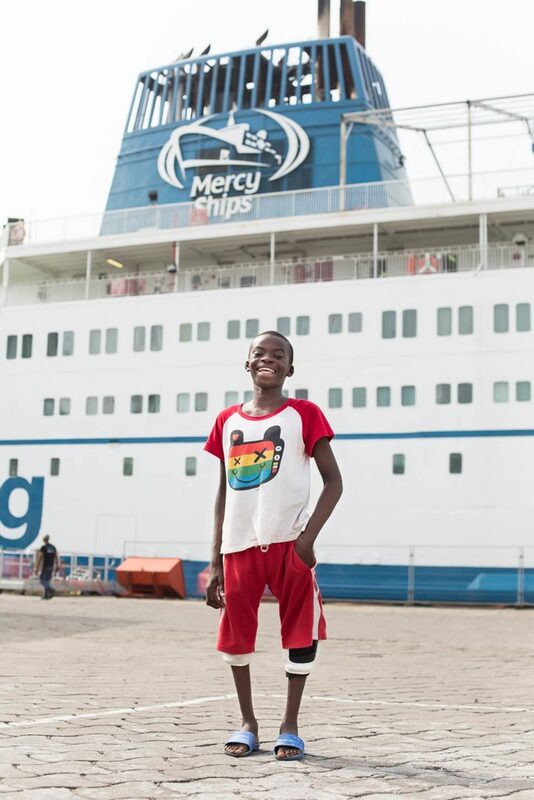 This incredible transformation was only possible thanks to the generosity of Mercy Ships donors and volunteers. 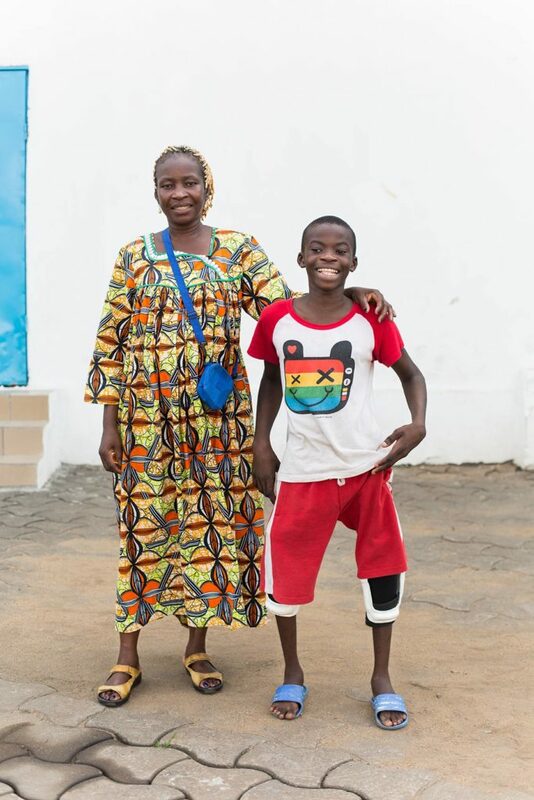 Their support freed Ulrich from a lifetime of dependence, giving him hope for a bright future. 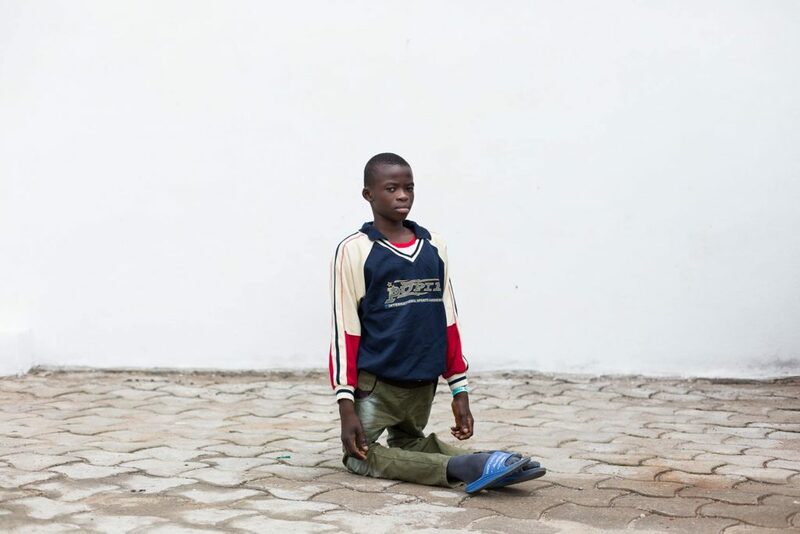 Will you donate today to support more children like Ulrich?